Tried! Tested! Loved! Seven super-functional kicks that look snazzy, too. Spring training (aka toning up for bikini season) is upon us. Now that the weather's warmer, you can once again take your exercise back outdoors. Lace up with one of these editor-picked sneakers or running shoes. These seven stunners will help you hit your stride in no time. 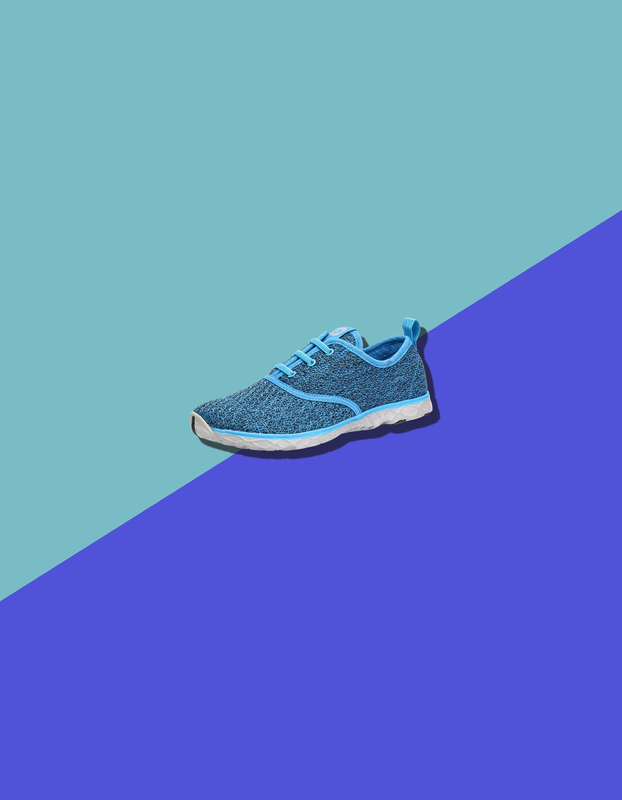 Found: a sneaker for all your favorite plyometric moves. Hexagonal pods on the sole of the Nike Zoom Fit Agility ($130; nordstrom.com) not only absorb impact but also return energy to your foot to fight fatigue. Small lugs along the sole's outer rim paired with larger ones in the center allow the Brooks Cascadia 10 ($120; rei.com) to maneuver between packed gravel, dusty roads and muddy paths. Plus, a special "rock plate" shields your foot from injury. Flexibility (giving you greater foot mobility) mixed with just enough underfoot padding helps the Topo Halsa ($110; topoathletic.com) handle everything from sprints to power lifts. A neutral runner, the Saucony Zealot ($130; zappos.com) wins major fit points. The plush mesh inner sleeve and lightweight upper support frame mold to feet, adjusting to size and shape changes throughout your run. Also handy: the stay-seen reflective hits. Like jumping on a trampoline, running in the Adidas Adizero Tempo Boost ($120; adidas.com)with its midsole cushioningadds spring to your step. Result: You can go farther without feeling it. A tough-as-nails stability runner, the Under Armour Speedform Gemini ($130; amazon.com) effortlessly handles long-distance miles while maintaining a light-as-air feel. Looking for an everyday strider? The Asics MetroLyte ($65; zappos.com) packs serious functional featuresa breathable upper; a cushy, sweat-wicking sock liner; and a grippy rubber outsolein a streamlined silhouette.